AV receiver is smart, frill-free and flexible, but puts performance first – time to look beyond the usual surround suspects? My dabblings with home cinema tend to blow hot and cold: I seem to go through periods of watching a lot of films, concerts and the like from Blu-ray, and then settle back into listening to music into two-channel to the point the TV is rarely switched on. What’s really needed for such a lifestyle is amplification as good with stereo music as it is with surround sound – not always a given, due to the demands of cramming multiple channels of power amps and processing into a single box. While my current set-up (using both an AV receiver and a dedicated audio system) offers a pretty good compromise, I’m fully aware that for most people, a single amplifier or receiver for all listening and watching duties, is by far the most practical solution. That’s where the Anthem MRX 510 comes in: I first heard some of the latest equipment from this Canadian company at the Bristol Show earlier this year, and was sufficiently impressed with its all-round ability to order up a review sample of its midrange receiver, selling for around £1700. Not only does Anthem, as one of the smaller players in the AV receiver market – at least by the standards of, say Onkyo, Denon or Yamaha – design its products to be lighter on facilities than some rivals, and thus hopefully more performance-oriented, it also has its own highly advanced room-correction system, ARC, to make the most of the sound in the user’s room, and with your choice of speakers. In fact, the new MRX 510 isn’t just simpler than many of its rivals, it’s also dropped frills found on past Anthem offerings. 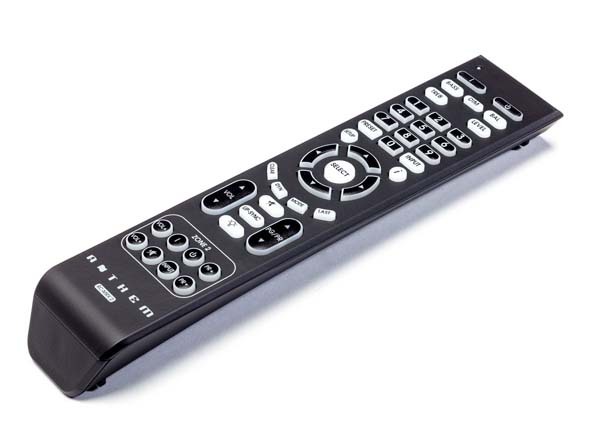 Even the remote control is pretty basic: it does the job, keeps the button-count down and has built-in illumination, but it lacks the tactile appeal of some rivals’ offerings. Unbox the MRX 510 and you don’t just get the receiver, which is black and purposeful-looking, very much in the current trend of having minimal front-panel buttons to avoid daunting users, but also a calibration microphone complete with tripod stand (left), and a software disc to carry out the set-up. I have to say Anthem’s UK arm was pretty keen to come and set up the receiver for me, as that would be service offered by an installing retailer, but I wanted to experience the procedure for myself – and it proved surprisingly simple. You’ll need a computer running Windows, and connected to the same home network as the receiver, but beyond that it’s a matter of running the ARC package, loading up a calibration file supplied for the microphone, and off you go. Before taking measurements you have to set speaker distances manually, as if to reinforce the fact this is’t one of those ‘plonk down the microphone and leave to it do its stuff’ systems found on rival products. There’s a remarkable amount of adjustment available using the system: once measurement is done, you can see the frequency curves for each speaker and the corrections being made and ‘tweak’ them to get an ideal sound. Having played with the ARC system for a while, I found a combination of equalisation and adjusting speaker position have the best results: the former for the fine stuff, the latter to correct any major problems such as too much low-end boom if speakers were used too close to walls and especially corners. 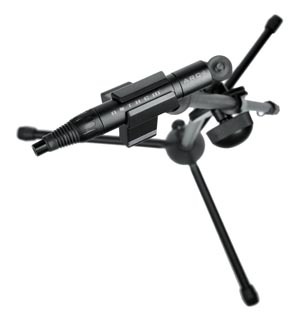 having tried some deliberately wrong positions, it’s clear the ARC isn’t a ‘fix-it’ solution for bad set-up; however, it is an invaluable tool to help you get things as right as possible. It’s fascinating, and should appeal to the perfectionist or inveterate fiddler alike; or of course you can just get the installer to do the job for you, then sit back and enjoy the sound. The same might go for the degree of customisation available here: the Anthem allows you to store settings including the equalisation and listening mode, for more sources than you’ll ever need, allowing them to be recalled as soon as an input is selected. It can all be set up on installation, meaning using the receiver is a simple pushbutton affair. Beyond that, the Anthem specification is highly competitive: the MRX 510 offers seven channels of amplification, capable of 75W when they’re all working, and 100W when just two are running; eight HDMI inputs and two outputs; five digital audio inputs and five more analogue; 4K video upscaling and pass-through for use with the latest ultra-high-definition displays; and control via an app running on Android smartphones and tablets, with an iOS app on the way. With most modern AV receivers, surround sound performance is a given, and the Anthem lives up to the standards of its class by delivering all the power and slam anyone could want, but doing so without the hard-edged, fatiguing balance that’s so often encountered with products of this kind. That makes it especially suited to playing concert and opera Blu-rays, the clean, neutral sound here ensuring orchestras have good substance and warmth, while soloists are rendered with excellent character and fine intelligibility. But the most striking thing about this receiver is how well it presents both stereo and multichannel music without visuals. Above all it has a controlled, subtle sound, combined with the weight and dynamic ability to bring out all the light and shade in a recording. What’s more it’ll rock hard, too: the same kind of hefty amplification and lightning-fast response it uses for those big action thrillers also serves driving music well. The bass is fast, tight and exciting, the treble has good bite without ever becoming overbright or tiresome, and the smooth, clear midband ensures voices and solo instruments have excellent character and really sing out of even the densest of mixes. It’ll go loud, too: when I heard the Bristol demonstration the amplifier was cranking out the Led Zep Celebration Day set at room-shaking levels, and having tried the MRX 510 at home I can report it will pummel the chest as hard as you like, and way beyond levels the neighbours won’t like! 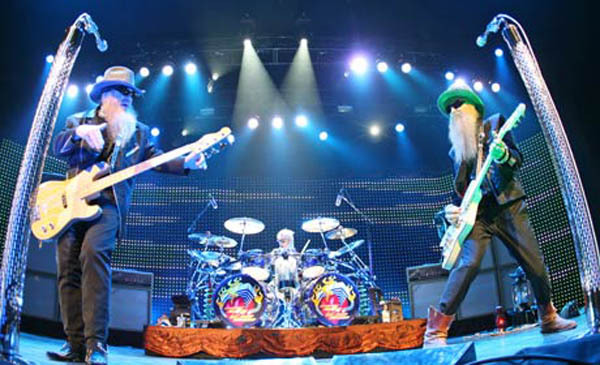 ZZ Top’s Live from Texas Blu-ray (below) – one of my ‘Are they out? Right!’ guilty pleasures – has never sounded harder-hitting or more snarly. Great stuff! In case you haven’t got it by now, the Anthem is seriously good with music: I have plenty of experience with the Onkyo TX-NR818 I use in my reference system, and while that receiver has advantages over the Anthem – DSD processing and network music player capability, for example – and sounds extremely good when playing in audio-only modes, the MRX 510 has it beaten for clarity, richness and presence. That makes the Canadian contender an even more involving prospect for anyone likely to be playing music as much as, or more than, visual material. True, the Anthem is rather more expensive than that now-superseded Onkyo, but the extra cost is more than justified by the way it plays music – with a very visceral clout when required, and all the drama you could want, but at the same time with subtlety, refinement and finesse. This is an intriguing product, not just due to the flexibility of that room correction system, but because it eschews the usual AV receiver ‘bells and whistles’ trend and concentrates on providing the features more buyers will use, plus a captivating sound. It may not come from one of the first names many will consider when looking at products of this kind, but if you take your music as seriously as you do your video-based entertainment, it’s worth seeking out and auditioning. You may just find yourself as taken with it as I did in that crowded Bristol demonstration room. Hi Andrew. Thanks for your review. You say the Anthem is good for 2 channel music. In terms of price where would you rank the Anthem’s performance? In other words does it sound as good as a £1000 stereo amp? Wouldn’t pitch it at a particular price-point – there are some good £1000 amps, and others I wouldn’t give house-room! I’d just say that by the standards of AV receivers the Anthem is very good indeed in stereo, and well worth auditioning even if you listen to two-channel more than, or at least as much as, surround. How far apart would you say the 818 and the Anthem are? I’ve been deeply impressed by the 818’s capabilities on the back of your and an earlier Noel Keywood review and had mine since last summer. Doubt I’d be looking to splash out the extra for the Anthem but I am interested in how big the gap between the two is, albeit with that £700 price difference. The difference isn’t huge in absolute terms, but it’s sufficient to justify the price-gap. That said, the 818 is still extremely good, and of course has all the facilities I mentioned in the review. Hi Andrew! Another excellent review!! I’m about to upgrade my home cinema system when I move to the new house. Anthem is on top of my list, but I’m not sure if I should wait for HDMI 2.0 equipped receivers or not. I will most likely be buying a 4K TV. What would you suggest? Hi Andrew. I’ve just found your review very helpful, especially as I was about to buy a near new Arcam AVR400 for Aus$1500. I’m a little worried about the reliability and ease of use of the Arcam (I’m not the only one who needs to be able to use it!). How would you rate the Anthem compared to the Arcam for playing music, please? That will be the main use, movies secondary. The Anthem appears to be more user friendly, but it’s musical potential, on paper at least, may not be as good. I should add that my main speakers are a pair of one owner (i.e. me) ~1994 bi-wireable Heybrook HB1s, with 90dB sensitivity, so they don’t need a lot of watts to drive them. Furthermore, we listen mostly to classical and jazz, so we never get close to maxing amp volume. Should also add that the MRX510 retails for Aus$2299 here. Read your review of the Anthem 510. This receiver is number one on my list. The question I have is on the room correction.If I purchase the 510 the first six months to one year the 510 will be used with two speakers stereo only. Will the ARC work with just two speakers? Or do I need the full 5.1or7.1 speaker set up for the ARC to work properly. It will work with two speakers, but the effect will be greater when you get the entire 5.1/7.1 system up and running. can i use my rotel rmb 1075 power amp with it?? It has 7.1-channel preouts, so yes you can if you really want to.